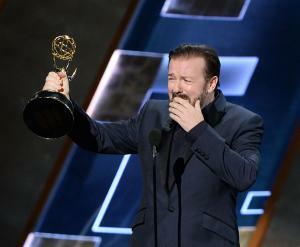 Jan. 19 (UPI) — The standup comedy special Ricky Gervais: Humanity is scheduled to debut on Netflix March 13. The Emmy- and Golden Globe Award-winner is best known for creating and starring in the British comedy series The Office, Extras and Derek. He has also memorably hosted the Golden Globe Awards ceremony several times.